- Customised Fittings as per requirement. We have gained a remarkable position in the market that is involved in offering Cast Iron Pipe Socket. We are the manufacturer of Cast iron socket. Cast Iron Socket Spigot Pipe produced as per IS:1536 . It is cetrufugally casted spun rolled pipe. 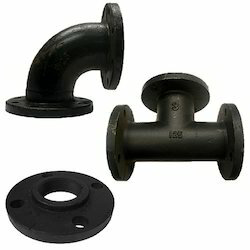 Our organization has gained the leading position by manufacturing the best range of Cast Iron Flange Socket. 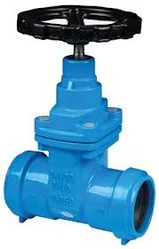 Ram Chand Ramesh Chand & Co.
We offer a wide range of Cast Iron Socket & Spigot Pipes that are enhanced using air pressure accumulator with pressure gauge that controls pressure. It also features quick change over of tool sets that reduces time consumption and increases productivity. Our entity is involved in providing a comprehensive series of Casting Iron Socket. Experts manufacture this product as per industry norms employing the best quality material and advanced techniques. We are the leading organization in the industry to provide our clients the best quality array of Cast Iron Pipe Socket 3989.